Each year I share my one attempt at poetry entitled “The Day after Christmas.” It reminds us that Christmas is not only a day or a season but also a lifestyle. May we celebrate the good news of Christ coming into the world year-round. The twenty-fifth had left them all tired and beat. Stripped of their contents and of interest no more. With visions of sleeping-in fixed in their heads. Were in hopes that we too might get to sleep late. I sprang from my bed like a frightened jackrabbit. And set off the alarm system on the first floor. Left in the front yard yesterday by my boys. A red, white and blue delivery truck. As the postman delivered a hand full of bills! Payment would empty the United States’ mints. Now, Visa! Now, Penney’s! Now, Macy’s and Rich’s! On, Walmart! On, K-Mart! On Abercrombie and Fitch’s! Come January, we owe something to all. Looked again at the bills and gave a great sigh. Yesterday we ate all we were able. Complete with a digital, alarm clock waker. As cordial as a den of hibernating bears. But he snapped at my fingers and let out a snarl. Going to friends’ homes for Christmas show and tell. To see how my favorite football teams would fare. Regretting last night’s snack I should have missed. My team was ahead and the world seemed much finer. Something on the mantle piece caught my eye. The manger scene had been placed weeks ago. I witnessed the reminder of that first Christmas day. Sent by God into the world to save us all. Made it quite clear what had been lost to sight. On the day after, our Christmas has only begun. Nativity Animals will be present from 10:00 a.m. to 4:00 p.m. in The Wallace Garden. Children young and old are invited to visit. Childcare for ages 6 weeks to 2 years will be available at 11:00 a.m. and 2:00 p.m.
Childcare for ages 6 weeks to pre-K will be available at 4:00, 6:00, and 8:30 p.m.
O, come let us adore Him, Christ the Lord! The world wrapped in holiday colors of red, green, silver, and gold. Crimson berries nestled in emerald green holly leaves. Wreath-clad doors, mailboxes garbed with garland scarves, and shrubs robed in lights. The “Big Tree” towering over Lenox Square. Piled gifts spilling beyond the sheltering arms of a Christmas tree’s embrace. On, off, on, off, on, off, on, off of blinking bulbs. Windows alight in warm candle glow. Stockings hung by the chimney with care. “Kiss-me-quick” mistletoe dangling from doorways. Clydesdale horses stomping through a Currier and Ives winter wonderland. Traffic-jammed mall parking lots. Church pageant children clothed in over-sized bathrobes, cardboard wings, and pipe-cleaner halos. Salvation Army, red kettle ringers. Jingle bells jangling. Salutations of “Merry Christmas” and “Happy Holidays.” Crackling, cackling fires. Carolers’ off-key singing. Horn blare of traffic jams. Canned carols endlessly looping on store speakers. “’Twas the Night before Christmas” recitations. Children’s Christmas morning squeals of surprise, delight, and excitement. Dusty boxes of attic-stored decorations. Fir-scented Christmas tree smell. Hickory wood smoke wafting from ice-frosted chimneys. Oven roasted turkey basting. Sugar cookies baking. Cinnamon, clove, nutmeg, peppermint, and allspice. Apple cider simmering on the stove. Flavored coffee steaming in a mug. Sticky, sappy, prickly, pine boughs. Polar breezes that cut through pants to discover where underwear ends. Cozy down comforters for long winter’s naps. Fleece, flannel, wool, fur, cashmere, leather, velvet, cardigan, and cotton layered clothes. Overcoats, gloves, hats, and scarves. Candy-cane kisses from a sugar-smeared child. Children laying awake on Christmas Eve, knowing the night will never pass. Home for the holidays. The presence of loved ones, both present and absent. Anjou pears, red delicious apples, navel oranges. Hot cocoa with sliver sprinkles of chocolate and topped with marshmallows. Sweet eggnog sprinkled with cinnamon. Honey ham, sweet potato soufflé, cornbread dressing, and deviled eggs. Gingerbread dunked in milk. Chex mix baked with butter and garlic. Some homemade pumpkin pie. In the Gospels, one title given to Jesus is “Emmanuel” which means “God with us.” For those with eyes to see and ears to hear, God’s grace is all about us in these Holiest of Days. During this Christmas season, see, hear, smell, touch, and taste that the Lord is good! Much of what we “know” about Christmas actually comes from TV specials, greeting cards, holiday songs, legend, and tradition. Today I invite you to test your Christmas intelligence quotient. Is your knowledge about “the reason for the season” based on Matthew and Luke or Currier and Ives? Q1: Christmas has always been celebrated on December 25. A1: False. No one knows the exact date of Jesus’ birth. 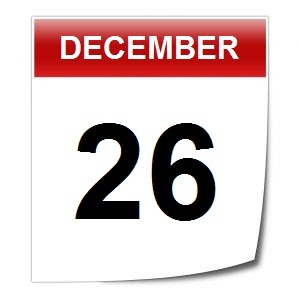 In a prior calendar, December 25 originally marked the Winter Solstice. The church “baptized” the date to celebrate the advent of “the light of the world” during the 4th century. Q2: What did the innkeeper say to Mary and Joseph? A2: According to tradition, the innkeeper said, “There is no room in the inn.” Despite countless children’s plays to the contrary, the innkeeper does not have any speaking lines in the Biblical accounts. Q3: Who saw the star in the east? A3: The wise men saw the star in the east. Many Christmas cards show the shepherds following the star to the manger; however, the shepherds went to Bethlehem after the angelic chorus announced the Christ’s birth. Q4: How many wise men made the journey? A4: Most people know the correct answer is “THREE.” Most people are wrong! The Bible never mentions how many wise men came to see the newborn king. They DID bring three gifts. By the way, they were not kings, either. So the carol “We Three Kings” is inaccurate in every detail! Q5: What is frankincense and myrrh? A5: My favorite response is that frankincense is “an eastern monster story!” In reality, it is a precious perfume. Myrrh is a spice often used for preparing bodies for burial—a strange gift for a newborn. Even at his birth, the babe of Bethlehem was also the Christ of the cross and the Lord of the empty tomb. Q6: Where did the wise men find the baby Jesus? A6: Months and even years may have passed before the wise men arrived. According to the Matthew’s account, they found the Holy Family in a home and not a stable. Q7: Which animals does the Bible say were present at Jesus’ birth? A7: Don’t throw away your manger scene’s barnyard menagerie, but the Gospels say nothing about any animals at the nativity. Q8: Where do I find the Christmas story in the Bible to check these answers? A8: Matthew and Luke contain the stories of Jesus’ birth. Matthew focuses upon Joseph and includes the wise men. Luke focuses on Mary and describes the angels appearing to the shepherds. During Christmas, many families enjoy the tradition of reading holiday books together. In addition to other seasonal classics, I encourage you to include the Gospel accounts of the first Christmas in your reading time as well. By the way, according to the author, there WILL be an end-of-book test.